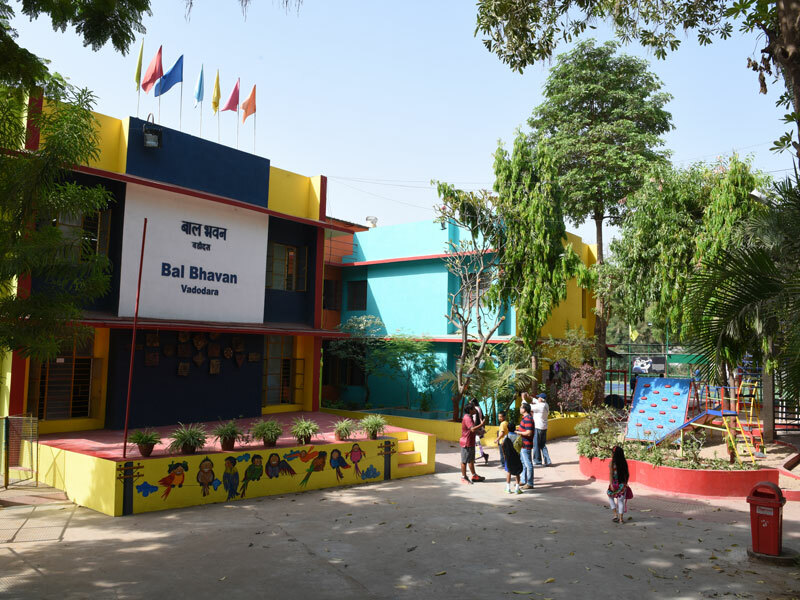 The Bal Bhavan Society is an outcome of the inspiration generated by the International Year of the Child 1979. Enthused by the unparalleled focus on the plight of children everywhere, some of the leading citizens of Baroda came together to establish a long term project for children. A survey revealed that the largest lacuna in children's services in the city was an astonishing dearth of recreational and non-formal services for all children and especially for children belonging to the underprivileged section in the school going age group. 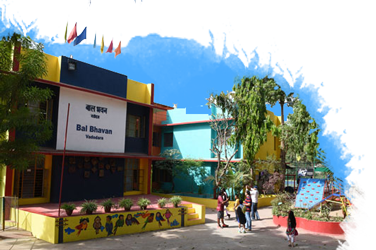 Thus the seed of Bal Bhavan Society was sown and was registered in 1980 under the Societies Registration Act 1860 and Bombay Public Trusts Act 1950. 1998 Concrete Tennis Court sponsored by Gas Authority of India Ltd.
2003 Development of Play area with support of Lions Club of Greenford Willow Tree Lions Club, UK. 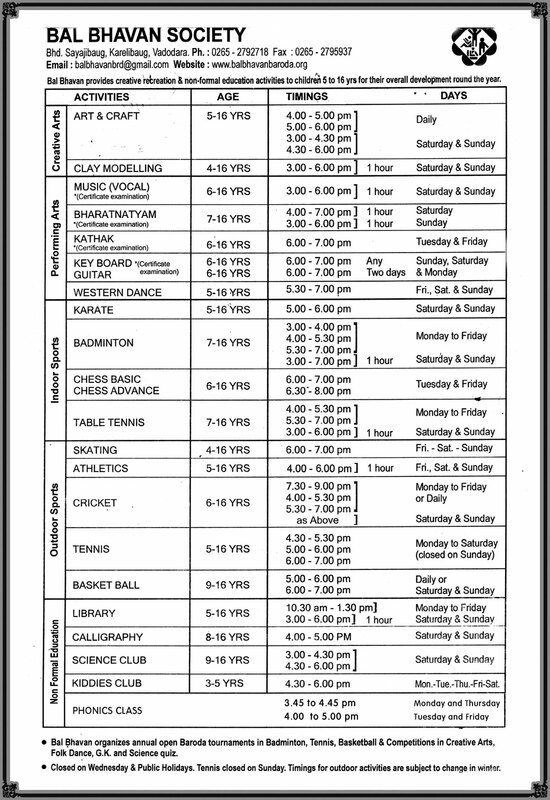 2004 All India Junior Ranking Badminton Tournament for Prize Money Rs. 1,01,111/- (First time in Gujarat) sponsored by Bank of Baroda. 2004 Renovation of Indoor Stadium by Voltamp Transformers Pvt. Ltd.
2004 Renovation of Auditorium and Science Center sponsored by Netafim Irrigation India Pvt. Ltd.
2009 Development of Gym sponsored by National Bal Bhavan, New Delhi and Jyoti Ltd.
2009 Illumination of one Tennis court sponsored by Smt. 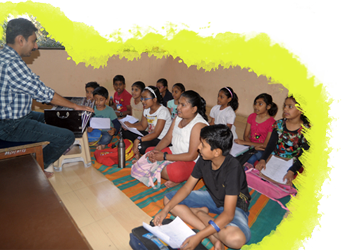 Aruna Mehta Memorial Trust. 2010 Relocation of Science center to the First floor sponsored by Jyoti Ltd.
2010 Development of seating area sponsored by Sh. Bhaskarbhai Patel, UK. 2012 Laying of Synthetic flooring on Table Tennis court with assistance from Shroff Family Charitable Trust. 2015 Laying of Synthetic flooring on Lawn Tennis court with assistance from Mr Dhruv Lal. 2017 LED flood lights on Synthetic Tennis court with assistance from Mr Keyur Amin ,USA.